The Nintendo 2DS is available as an Authentic Nintendo Refurbished Product only from Nintendo, and it comes with our standard one year warranty. Although it may have minor cosmetic blemishes, it is guaranteed to be fully functional. We think you will find the standards for Authentic Nintendo Refurbished Products are VERY high. 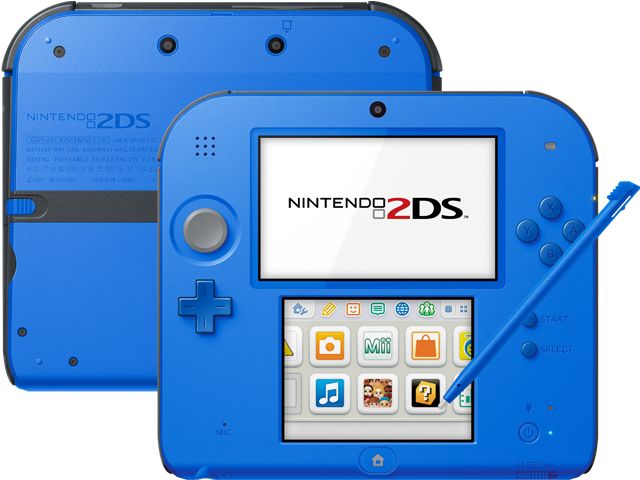 Includes Refurbished Electric Blue 2 Nintendo 2DS System, AC Adapter, stylus (color may vary), 4GB SD Memory Card, and 6 AR Cards.